View The Obituary For Diane Brindle. Please join us in Loving, Sharing and Memorializing Diane Brindle on this permanent online memorial presented by Wilson Family Funeral Home. View The Obituary For Dianne Gail Wittman. Please join us in Loving, Sharing and Memorializing Dianne Gail Wittman on this permanent online memorial presented by Fitzgerald Funeral Home. View The Obituary For Martina Viola Farrington. Please join us in Loving, Sharing and Memorializing Martina Viola Farrington on this permanent online memorial presented by Fitzgerald Funeral Home. View The Obituary For Phyllis Darlene Petesch. Please join us in Loving, Sharing and Memorializing Phyllis Darlene Petesch on this permanent online memorial presented by Barnett Family Funeral Home. View The Obituary For Delbert Oren Boswell. Please join us in Loving, Sharing and Memorializing Delbert Oren Boswell on this permanent online memorial presented by Jones – Campbell Funeral Home. View The Obituary For Robert W. Eichenberger. Please join us in Loving, Sharing and Memorializing Robert W. Eichenberger on this permanent online memorial presented by Chaput-Buoy Funeral Home. View The Obituary For Luis Diego Galvan Gomez. Please join us in Loving, Sharing and Memorializing Luis Diego Galvan Gomez on this permanent online memorial presented by Ziegler Funeral Chapel. View The Obituary For Maritza Isabel Zamora Galvan. Please join us in Loving, Sharing and Memorializing Maritza Isabel Zamora Galvan on this permanent online memorial presented by Ziegler Funeral Chapel. 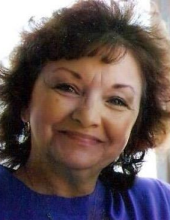 View The Obituary For Diane Brindle of Salina, Kansas. Please join us in Loving, Sharing and Memorializing Diane Brindle on this permanent online memorial presented by Wilson Family Funeral Home. View The Obituary For Phyllis Darlene Petesch of Meriden, Kansas. Please join us in Loving, Sharing and Memorializing Phyllis Darlene Petesch on this permanent online memorial presented by Barnett Family Funeral Home. View The Obituary For Ayele Klouvi. Please join us in Loving, Sharing and Memorializing Ayele Klouvi on this permanent online memorial presented by Miles Funeral Service. View The Obituary For Leslie O. "Les" Hopkins of Great Bend, Kansas. Please join us in Loving, Sharing and Memorializing Leslie O. "Les" Hopkins on this permanent online memorial presented by Bryant Funeral Home and Nicholson-Ricke Funeral Home. View The Obituary For Larry E. Keenan of Great Bend, Kansas. Please join us in Loving, Sharing and Memorializing Larry E. Keenan on this permanent online memorial presented by Bryant Funeral Home and Nicholson-Ricke Funeral Home. 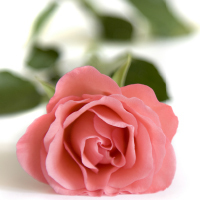 View The Obituary For Martina Viola Farrington of Ness City, Kansas. Please join us in Loving, Sharing and Memorializing Martina Viola Farrington on this permanent online memorial presented by Fitzgerald Funeral Home. View The Obituary For Dianne Gail Wittman of Ness City, Kansas. Please join us in Loving, Sharing and Memorializing Dianne Gail Wittman on this permanent online memorial presented by Fitzgerald Funeral Home. View The Obituary For Delbert Oren Boswell of Yates Center, Kansas. Please join us in Loving, Sharing and Memorializing Delbert Oren Boswell on this permanent online memorial presented by Jones – Campbell Funeral Home. View The Obituary For Robert W. Eichenberger of Concordia, Kansas. Please join us in Loving, Sharing and Memorializing Robert W. Eichenberger on this permanent online memorial presented by Chaput-Buoy Funeral Home. DERBY – Trena K. Stebbins, 57, passed away from a sudden illness at Wesley Med Center on Jan. 27, 2019. Celebration of Life: Feb 23, 1 p.m. at Faith Christian Church, 2110 W. 45th St. S.